Rancho Mission Viejo has announced the name and provided some details for Planning Area 1 of the Ranch Plan. 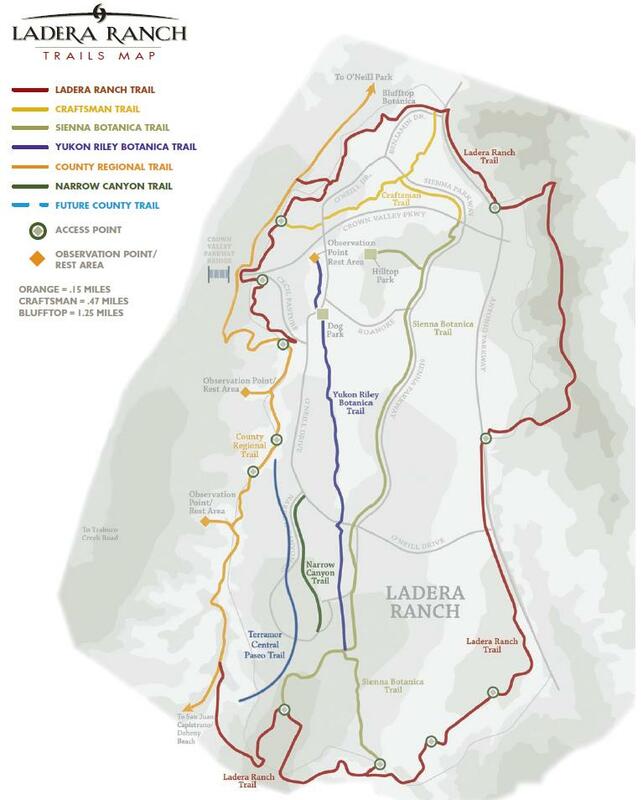 According to press reports and the Sendero Fact Sheet provided by Rancho Mission Viejo Company, the new village will be called Sendero — meaning “the path” in Spanish. The 690 acre village will include 940 attached and detached homes and 200 apartment units, including a gated 285-unit active adult community named Gavilan. Prices are expected to range between $330,000 and $700,000. Grand opening for home sales will occur in summer 2013. The residential neighborhood will include the expected amenities, including a community hall, a village green and clubhouses. Gavilan will have private recreational facilities. There will be a 15 acre community park with sports fields and playground, as well as neighborhood parks and trails. The retail component includes a 10-acre retail plaza with a fire station and day care center. This brand new village promises to offer its residents true Ranch-style hospitality and integrated living. Neighborhoods will be thoughtfully crafted around social parks, courtyards, as well as pedestrian and vehicular links to create physical cohesion and social vitality reminiscent of California’s most treasured places. Homes will be designed in a palette of styles specifically tailored for nearly every life stage, from pre-family to retirement, with single story offerings in the gated enclave of Gavilan. Plus, recreational spaces will encourage residents to connect with each other in many ways and celebrate health and wellness through private and shared-use clubhouses, a social hall and plaza, a village green, swimming pools, fitness centers and an abundance of gathering places.This first village on the Ranch will seek to balance human needs and natural resources with today’s most meaningful lifestyle aspirations. And, all on the remaining acres of Orange County’s last working ranching, offering access to one of California’s largest and most diverse habitat reserves. Sendero will also include NEV paths. NEVs are neighborhood electric vehicles, which you might recognize as golf carts. One of the innovative features of the Ranch Plan (and one we will explore in more detail later) is the plan to link each village (as well as surrounding areas) through NEV paths. Residents will be able to travel around Rancho Mission Viejo by means of NEV on a dedicated network of NEV paths, avoiding many of the arterial streets. The Orange County Register has provided a helpful graphic of the Rancho Mission Viejo development here. Rancho Mission Viejo Company provides a downloadable PDF brochure here, covering everything from the history of the Ranch to the open space program, to just-announced details about Sendero and the Rancho Mission Viejo development. Do you have tract map info on the Standard Pacific Bungalows? We haven’t seen the Standard Pacific final tract map yet. We’ll keep an eye out for it, though.